My name is Mark, and I am obsessed with making the space sim of my dreams. That sim is Universe or Nothing, and this is an introduction to it. 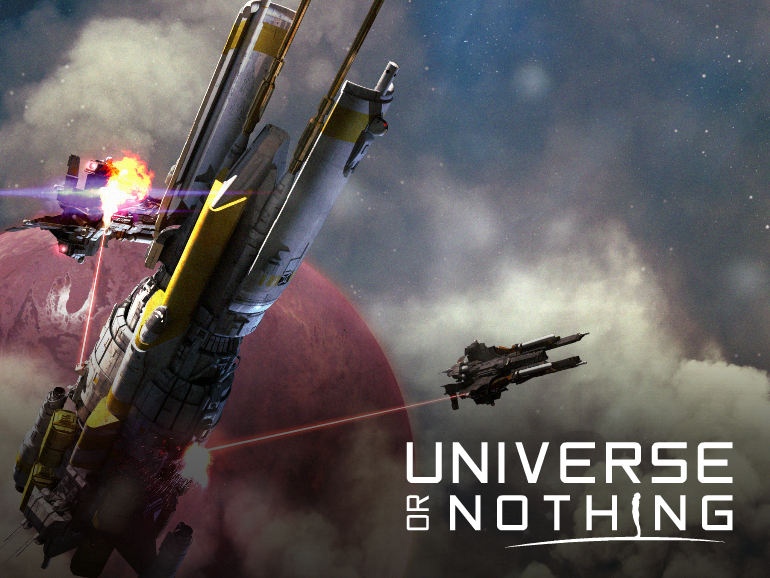 Universe or Nothing is a space sim which allows you to be a Captain, facing real challenges and making meaningful choices; a Helmsman, evading missiles while keeping the enemy in your sights; a Tactical Officer, bringing destruction to your foes and managing away teams; a Science Officer, fighting an information war and directing researchers; or a Chief Engineer, pushing systems to their limits and overseeing technicians. As Captain you will be able to command and control four roles on the bridge of your ship; Helm, Tactical Ops, Science and Engineering. Commanding involves issuing orders to your bridge crew from your Captains console, controlling means you take their console and do it yourself. 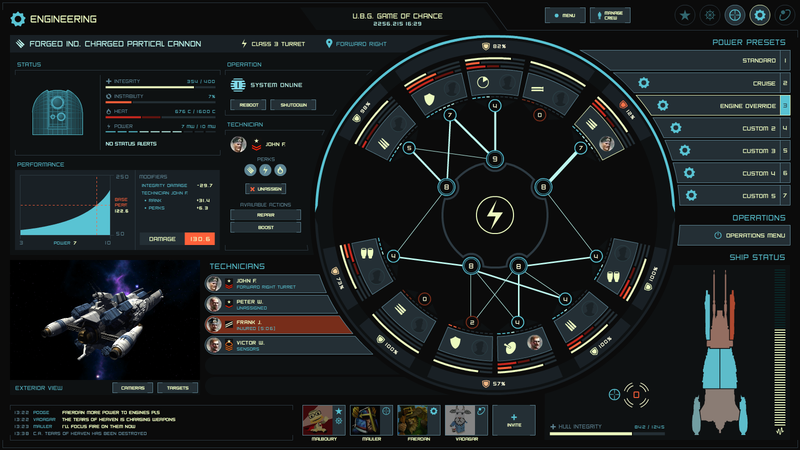 You can invite friends on Steam to take over one or more roles on your ship for a compelling cooperative experience. 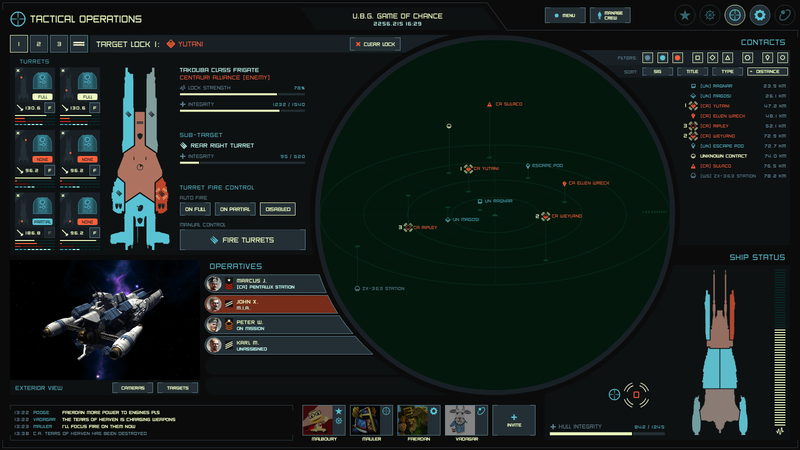 The game will feature an expansive dynamic campaign, played over a large seamless map, and smaller scripted scenario maps (kobayashi maru anyone?). 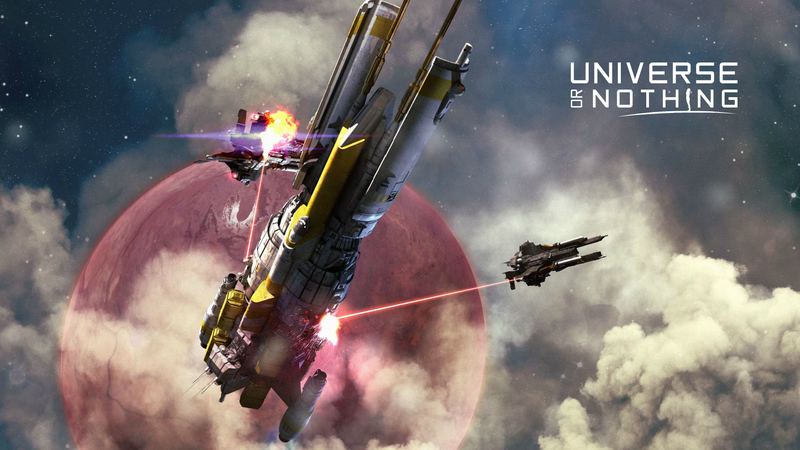 A huge amount of pre-production has gone into Universe or Nothing. I began working on the game in 2012 and have since been refining everything about it. I have built all of the game's base systems, including multiplayer networking, physics, graphics, and simulation systems (power, energy signatures, damage etc.). Our concept artist Isaac Hannaford, who was lead concept artist on many of the Halo games as well as Destiny, has created beautiful ship designs for us. The first two can be seen in his illustration "Ambush at Pentalux" (click here to view it). We have two part-time contributors who have helped me with design and development. These are our writer Pádraig, who has helped to flesh out the game's universe and narrative (you can read two of his Universe or Nothing fiction shorts here and here) and second developer David, who has helped to refine the gameplay systems and who is developing the game's AI (AI is his specialty). I have so far completed two of the console UI designs, Tactical Ops and Engineering (click on each to see it in full size). So far all development has been done in my own time using what funds I could spare. I have gotten to a point where I know what the game is, how it works technically, and what designs I will use. My only issue is time. In order to complete Universe or Nothing in a reasonable time period I need to work on it full time, and I need to bring Pádraig, David and at least one other artist on-board full-time as well. That means Universe or Nothing needs funding. I have spoken to some publishers and while they think the game is really cool, and that the progress we've made is impressive, they do not invest in niche games and we are not a proven team. Two of them asked us to pitch a more accessible version, for a larger audience, but that does not interest me. I think our best option at this point is Kickstarter, but I'm not rushing into it. I've been working on having as much to show as possible, and that time is close. We have a small but dedicated community on our forums and Facebook page. These brilliant people have helped me shape the game into what it is now. In order for Universe or Nothing to be a success we need our community to grow, and I would love you to join us in shaping the future.